Recommended pit dimensions-38"Wx18'Lx7'D. Check out our "Trench Blog" below. 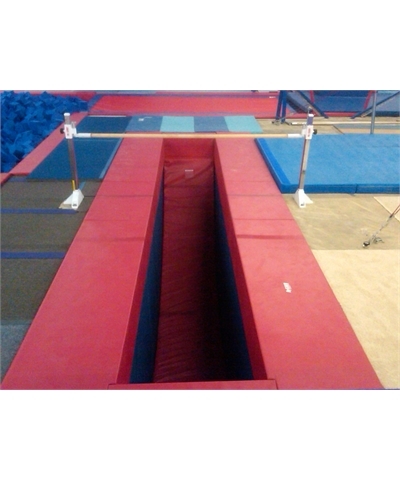 The By GMR Trench or Channel Bar Pit Pads sets the standard for Gymnastics Training Pits. 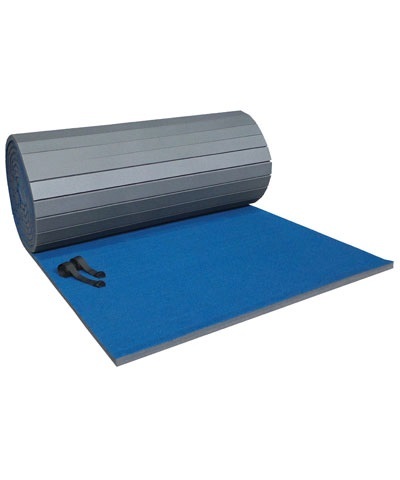 Our Pit Pads feature 1.25" EVA Foam over 1/2" OSB and are covered in Durable 18 oz. coated fabric. The side pads are 24" wide on top and extend 12" down into the pit and the end pads are 12" top x 12" down. 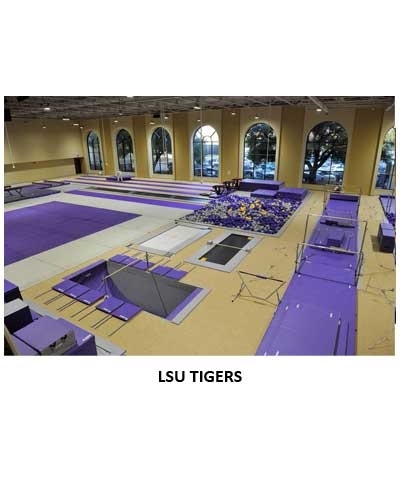 Requires long sides of the pit walls to be padded with 2" carpet bonded foam. 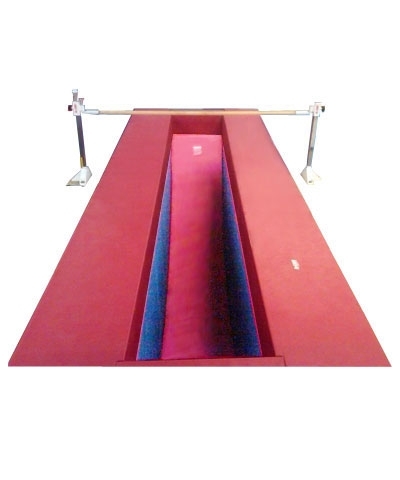 Recommended minimum pit requirements 38" wide x 18' long x 7' deep. Must ship motor freight. Please use the quote button to request motor freight charges.